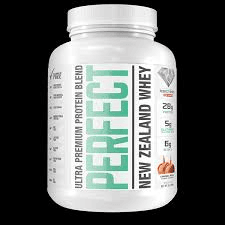 PERFECT WHEY is an ideal blend of the purest and highest quality New Zealand whey proteins sourced from cows that are Meadow Fed (pesticide free) and not given and antibiotics, rBGH or BST hormones. PERFECT WHEY contains whey protein that is filtered using cross flow microfilteration (CFM) and ultra-filtration (UF). These proprietary membrane techniques are used to yield the highest levels of indentured protein possible. The low temperature process also keeps the protein fractions (alpha lactalbumin, gylcomacropeptide, immunoglobulin, serum albumin, lactoferrin and lactoperoxidase) intact. Each scoop provides an incredible 28 grams of protein with added L-Gluatmine to help build lean muscle, increase strength, speed recovery and prevent lactic acid buildup so you can work out longer. With all natural ingredients and sweetened with Stevia, Perfect Whey mixes instantly and is the best tasting protein shake to deliver maximum results fast. DIESEL is an ultra premium whey protein isolate engineered to be the most advanced protein formulation ever designed. Derived from 100% New Zealand whey protein isolate, Diesel only uses whey from New Zealand cows that are Meadow Fed (pesticide free)? and not given any antibiotics, rBGH or BST hormones. DIESEL's whey protein isolate is filtered using cross flow micro filtration (CFM) and ultra-filtration (UF). These proprietary membrane techniques are used to yield the highest levels of indentured protein possible. The low temperature process also keeps the protein fractions (alpha lactalbumin, gylcomacropeptide, immunoglobulin, serum albumin, lactoferrin and lactoperoxidase) intact. But it doesn't stop there! DIESEL's ultra potent muscle enhancing formula is mega dosed with 7 grams of Branched Chain Amino Acids (BCAA's) and 5 grams of L-Glutamine, to help stop the breakdown effect of training and supply your muscles with what they need to rebuild, repair and grow. DIESEL mixes instantly, contains only all natural ingredients and is fat free, yeast free, wheat free, lactose free, gluten free and aspartame free. Diesel is the cleanest, purest and best whey protein isolate available. INGREDIENTS: New Zealand whey protein isolate, Leucine, Isoleucine, Valine, natural flavours, stevia. For even the most bdedicated athletes however ,intense training and clean eating just aren't enough. They need that little extra; that edge that will help put them over-the-top... That edge can now be found in new Perfect Sports Creed! 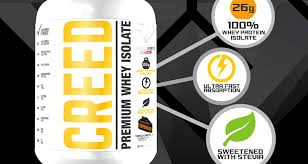 CREED is a no-nonsense, pure whey protein isolate supplement providing 26 grams of ultra- fast absorbing protein, that is sweetened with all-natural stevia and tastes absolutely delicious. Creating the most innovative, high-quality and trusted Sports nutrition and lifestyle support supplements... This is our CREED! GO TIME is the newest and most advanced Pre-Workout innovation hitting shelves across the country. Boasting a precision-engineered formulation that maximizes both energy and performance, GO TIME is the perfect Pre-Workout Catalyst for athletes looking to get the most out of their workout training regimen. Onset Neuro Pump Pre-Workout Amplifier offers the perfect workout combination: Nootropic & Pump Stack! Onset is the best of both worlds providing insane muscle pumps and sharp mental focus – without the stimulants. 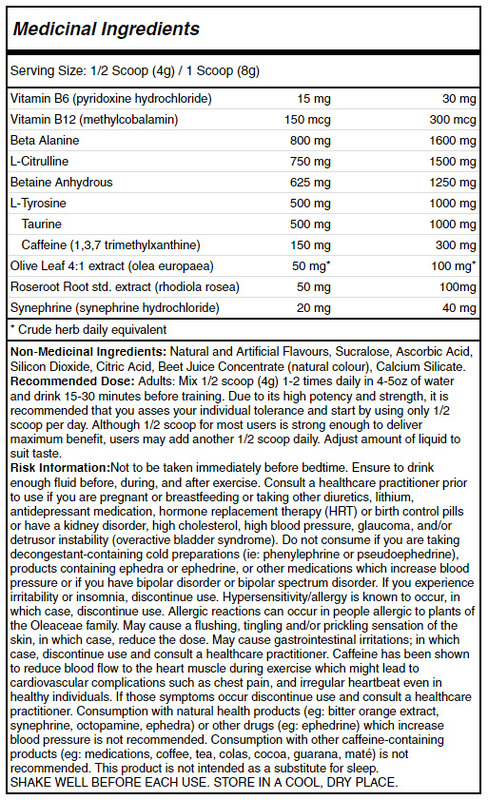 There is a total of six features in the product with the complete combination being 1000 mg Agmatine Sulfate, 600 mg Acetyl L-Carnitine, 300 mg Choline Bitartrate, 200 mg Quercetin Dihydrate, 120 mg Vitamin C and 60 mcg of Huperzine A. This potent combination of ingredient science and synergy makes Onset the perfect stimulant-free workout partner and stacks amazingly with your current pre-workout product.